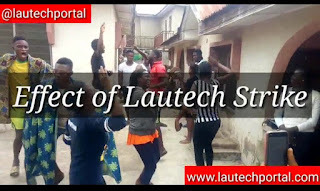 Watch the effect of lautech strike on some lautech students. I'm still wondering why Ladokite are happy when they heard about the sudden strike while the exam is on. All I see is Students singing and dancing around school area. Please who can tell us what's making them happy?